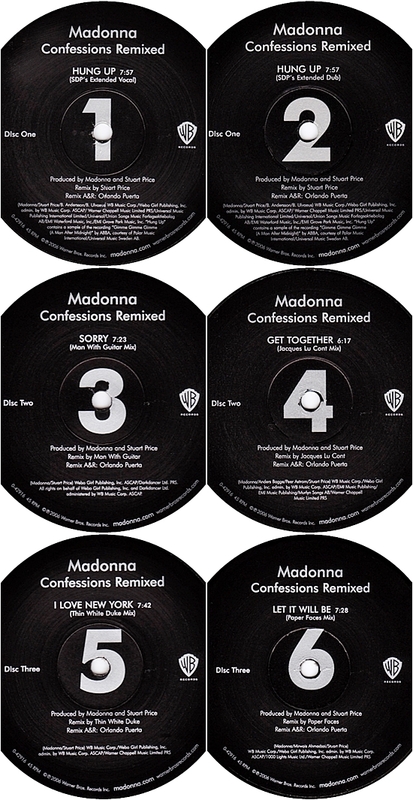 On April 11 2006, Confessions Remixed, a triple 12″ vinyl set compiling Confessions On A Dance Floor remixes by Stuart Price was released by Warner Bros. Records. The limited edition set was issued in the U.S. and in Europe with a reported run of 3,000 copies pressed. Considering the fact that many record shops still carry new copies of the set, we wouldn’t be surprised if the actual run was 3,000 in the U.S. and another 3,000 in Europe. 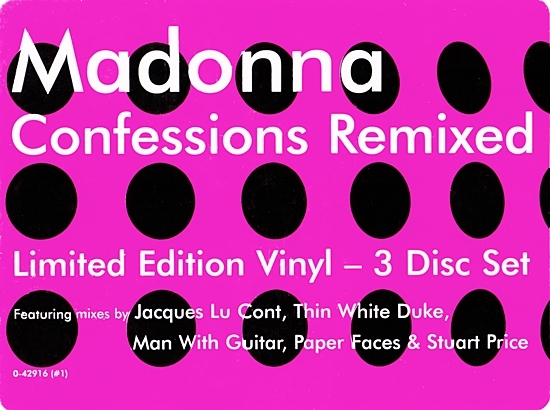 Or perhaps its lack of any previously unreleased remixes and roughly fifty-dollar price tag simply stirred limited interest. 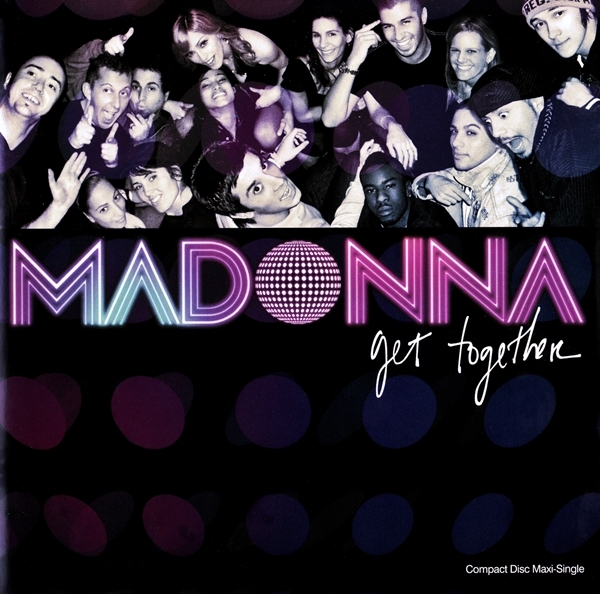 On July 20 2006, Madonna’s Get Together single peaked at #4 on the SoundScan Canadian Singles chart. On November 15 2005, Madonna performed an intimate club show for roughly 1,500 contest winners and guests at KOKO in London’s Camden Town district. The event was held to celebrate the release of her album, Confessions On A Dance Floor. While roughly 200 fans queued overnight to secure a spot near the stage for the gig, fans around the world were able to enjoy a live stream of the performance online. VIP guests in attendance included Sir Bob Geldof and his late daughter Peaches, Stella McCartney, Guy Ritchie and Pet Shop Boys’ Neil Tennant. 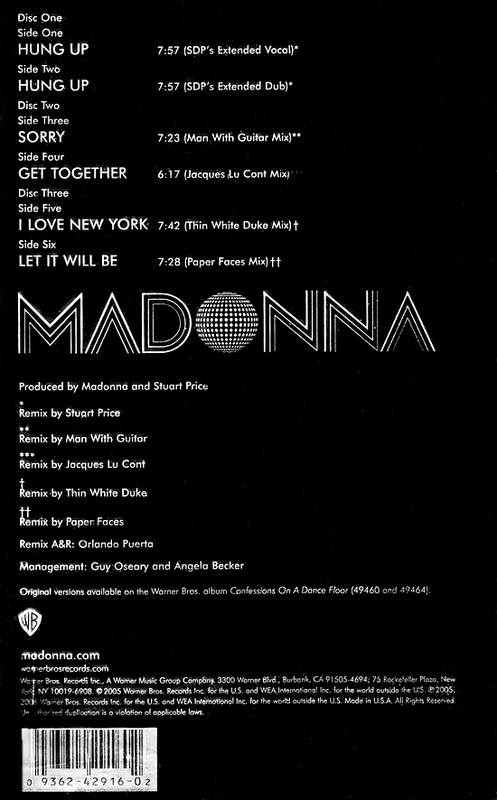 Madonna’s very first promotional concert in London was held at the same venue – then named Camden Palace – in October of 1983. 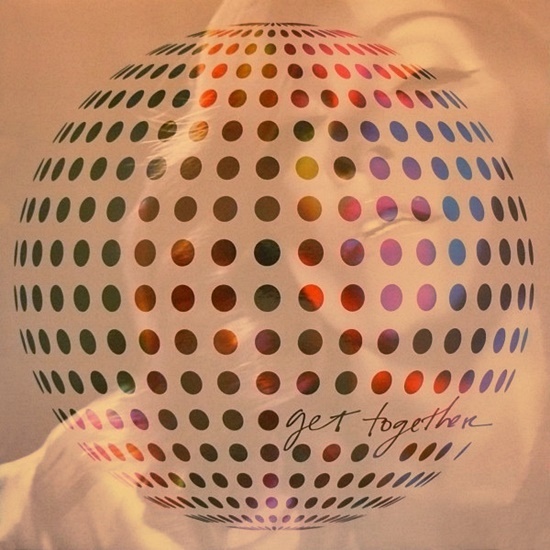 On June 14 2006, the music video for Get Together premiered in North America and Europe. Fully devoted to the preparation and launch of the Confessions Tour, Madonna was unavailable to shoot a video for the third single from Confessions On A Dance Floor. Warner Bros. Records and Madonna’s management instead commissioned several animation studios to combine live performance footage of Madonna’s 2005 promo show at London’s Koko with computer animated graphics. The original video that was released to music video channels (and is featured below) was directed by Logan. Oddly, Madonna’s 2009 music video collection, Celebration, featured an alternate submission from 2006 directed by Eu­gene Riecan­sky (this second version had initially been streamed on Madonna’s official website in 2007). The original broadcast version by Logan, however, remains unavailable commercially. 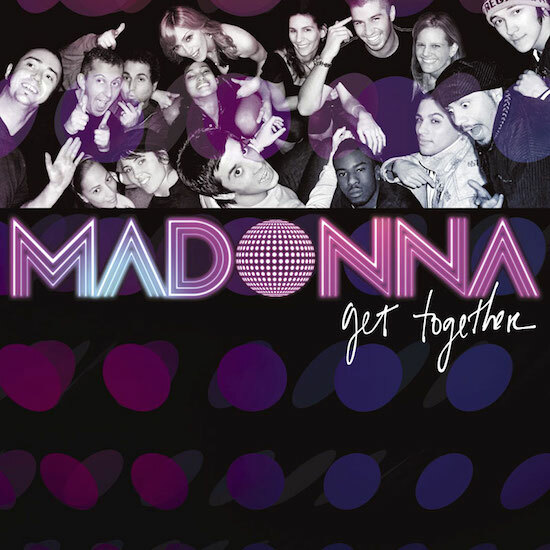 On June 6 2006, Get Together was released as the third international single from the album Confessions On A Dance Floor on Warner Bros. Records. 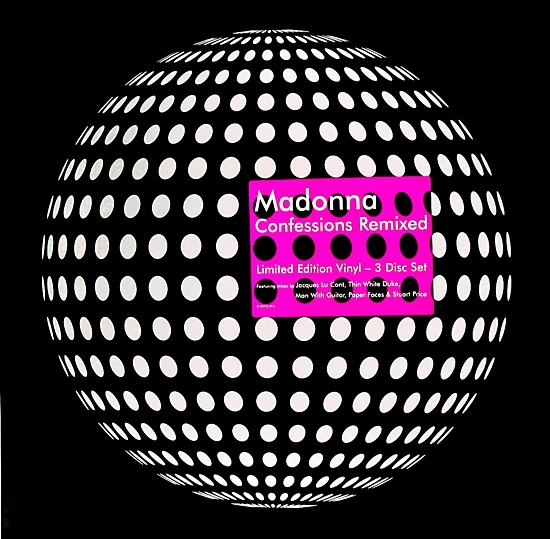 The initial marketing strategy for Confessions On A Dance Floor included plans to release Jump as its third single. Plans shifted when Get Together proved to be the most popular digital download from the album (excluding its previous two singles, Hung Up and Sorry), warranting its release ahead of Jump, which became the fourth single. Get Together was written by Madonna, Anders Bagge, Peer Åström & Stuart Price with production by Madonna & Price. The final version also includes a small sampling of string elements from the song’s original production (which only became evident once the original demos leaked to the internet several years later), hence the unusual “Original Production by Bagge & Åström” credit inclusion in the liner notes of the album and single.